Daniil Kvyat says that he will speak to the race Stewards over their decision to award him a drive-through penalty after his lap one incident with the two McLaren's. Kvyat made contact with Lando Norris and Carlos Sainz on the exit of Turn 6, with the former ahead of him, rejoining the track after running wide. 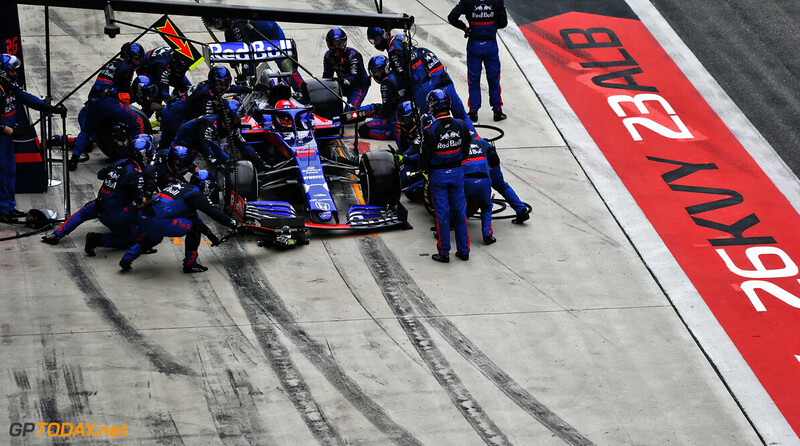 With Sainz behind him, initial contact was made with his former Toro Rosso teammate before Norris was hit, which resulted in both McLaren's coming to the pitlane for repairs. 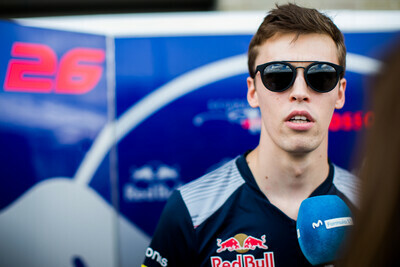 Kvyat was handed a drive-through penalty for the crash and eventually retired from the race. After reviewing video footage, the Russian has called into question the Stewards' decision, as he deemed it a racing incident. "It was an unfortunate race," he said. "I think the pace we had today, even with a broken car after the lap 1 crash, was very strong. It's unpleasant not being able to transform the pace into anything two races in a row now. "It's a cold shower for us, the potential was to be deep in the points. Regarding the lap one incident, I've seen it many times and I totally disagree with the penalty. I'll speak with the Stewards behind closed doors to hear their opinion on that." Kvyat denied that he had understeer problems, stating that his car was pointing in a straight line when the first point of contact was made. "There was absolutely no understeer, nothing like that. It was a corner exit, my car was totally straight. The regulations say I have to leave a car's width for the car next to me. "There were three cars in one corner with one car coming back onto the track sharply so the other car was sandwiched behind. I went in the car because of the car that hit me from behind, and then I went into Norris. It's obvious to me in the video. "So I'll speak to the Stewards behind closed doors and we can come to a solution and an understanding. I've seen mine and Norris' on-boards, and I think the incident was a typical lap one sandwich. These things happen, especially on lap one." When has the Torpedo taken responsability for the accidents he causes? 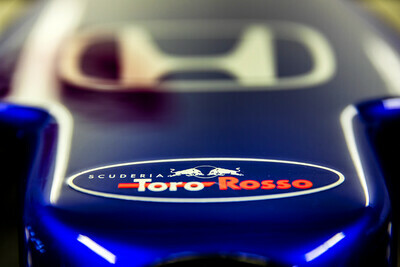 It was not totally egregious, but the results were for McLaren. He literally took out both drivers in one move and somehow kept his car in one piece. Honestly, at first I thought one of the RP cars had driven into him, it looked so weird when he collided with the first McL. But he was the responsible party. Shame, could've been a good weekend for STR, but Kvyat bollocksed it up. The Russian Torpedo is back! He won't last the season.